Are you in search for the best i7 laptops of 2019? We have a list that can help you compare and decide in choosing the one that can fit your needs. The true motive behind buying a laptop is to have the best portability but that doesn’t mean you have to compromise in terms of performance. The best i7 laptops allow users to experience the latest and greatest hardware on a laptop so that you can get a lot of work done on the go. The 8th generation Intel processors are already out which might be slightly more expensive than the 7th generation Intel i7 but at the end of the day, both these processors are premium models. They are capable of delivering utmost power to your laptops making it easier to open multiple excel sheets, photoshop or other demanding software to complete tasks. Laptops in the past decade have become essential. We have started relying on feature-loaded laptops rather than the good old desktops because of the ease with which they can be carried around whether it is for students, professionals or for use at home. 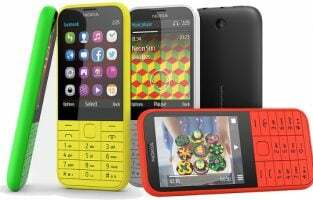 They offer higher flexibility and better portability without compromising on features or functionality. The Intel Core i7 processor provides a lot of power to the laptop making it perform outstandingly well. It is great for people who do not like to experience lag when working on heavy applications. 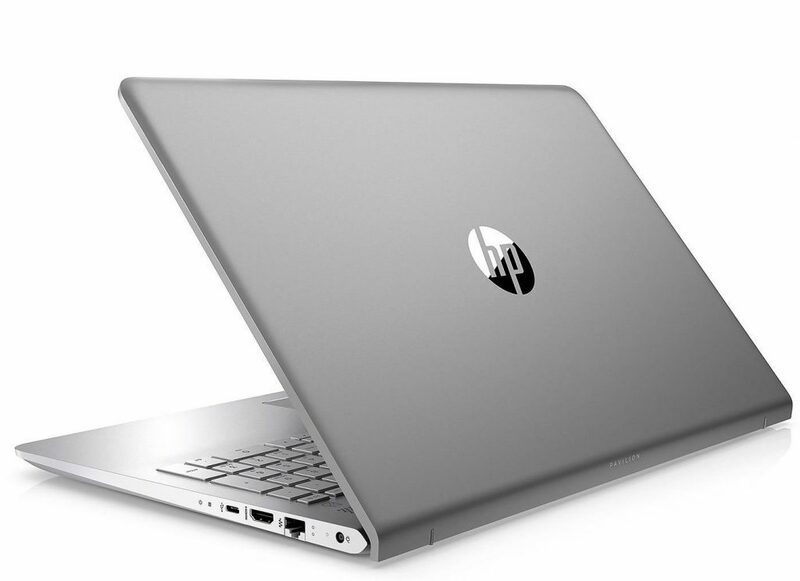 The HP Pavilion 15.6-inch laptop is a product designed for business users. The premium quality brushed aluminum finish on the exterior will instantly appeal to any buyer. The sturdy looking laptop even features backlit keyboard which is rare to find on these products unless they are designed for gamers. The laptop is powered by the latest 8th generation Intel i7 processor which can be clocked up to 4.0GHz coupled with 16GB of RAM and 512GB SSD. 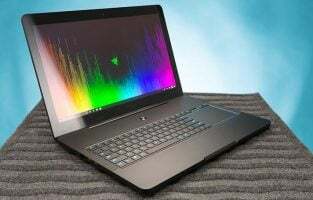 The laptop sports a 15.6-inch display with 1920×1080 resolution and houses a dedicated Nvidia GeForce 940MX 4GB graphics card. It delivers great sound and is an all-round product for business owners and surprisingly falls within the budget range. 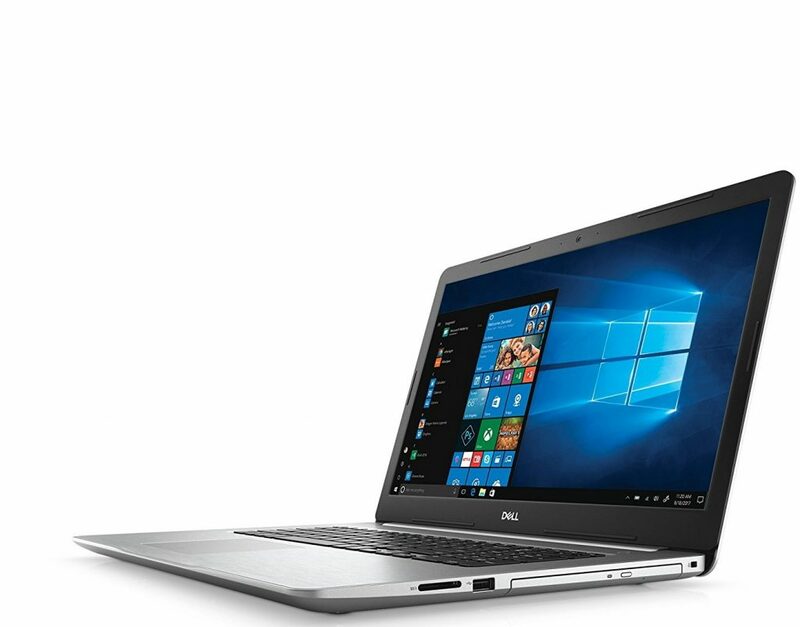 Dell is known for their high-quality business laptops and the brand continues to hold on to their position with the Dell i5770. 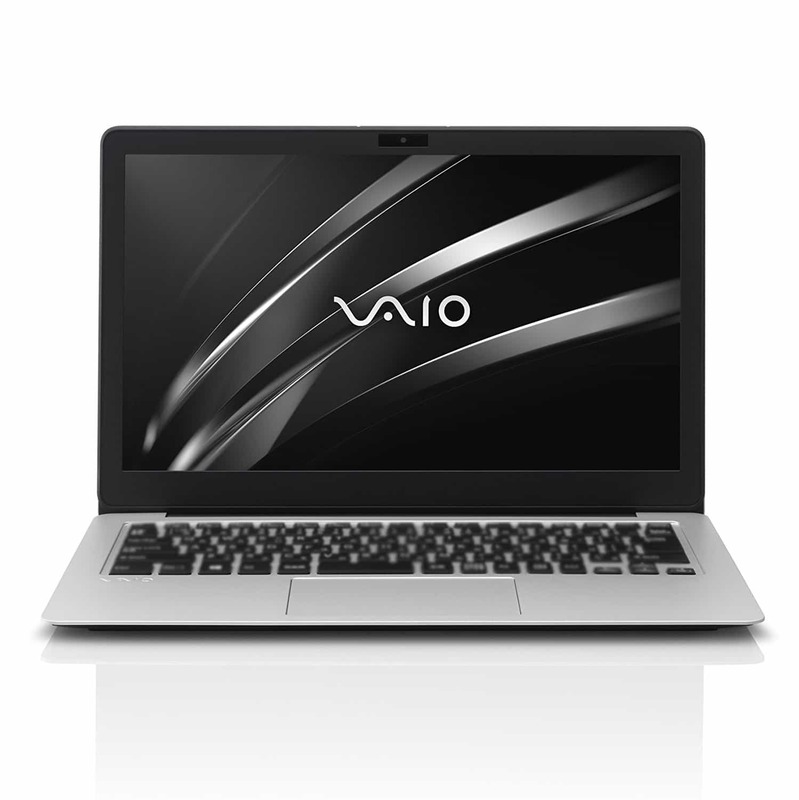 The model features a 17.3-inch display with a resolution of 1920×1080 with LED-backlit. Under the stylish silver body, it is powered by the latest 8th generation Intel i7 processor combined with 16GB of RAM and 256GB SSD. There’s also 2TB storage space and this new generation laptop has a DVD drive which is quite retro in a generation full of cloud-based file access. 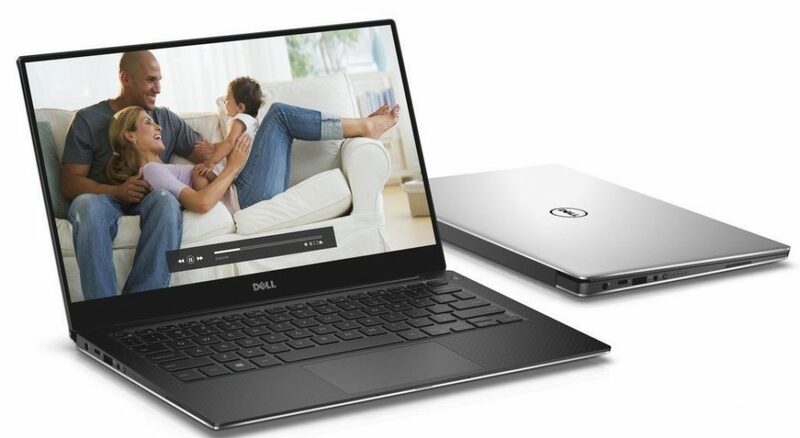 The reviews are very positive for the Dell laptop which is a new entrant in the market but with all the right ports, hardware configuration and a sturdy build, it is poised to be a reliable laptop for most buyers. Balancing the right hardware configuration and pricing is a tough job which HP has done to its level best with the HP Envy 17-inch laptop. 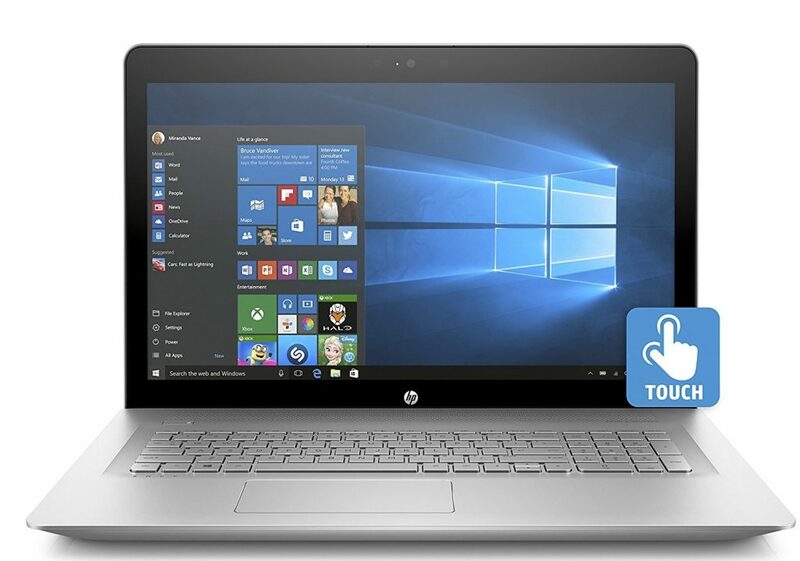 The manufacturer has managed to provide great build quality which features a unique and strong hinge besides a touchscreen display to make it easy to use Windows 10 operating system. The HP Envy has a large 17.3-inch display with a resolution of 1920 x 1080 pixel with IPS panel. It runs on 7th gen Intel i7 processor combined with 12GB of RAM and 1TB of hard disk space. It also has Nvidia GeForce 940MX graphics card. 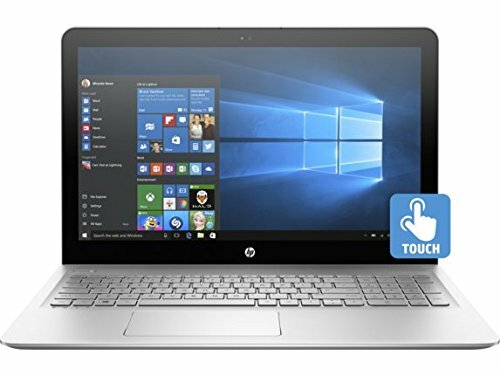 HP promises nearly 8 hours of battery life which makes this laptop reliable and it also has a good heat dissipation system that should enhance its durability. 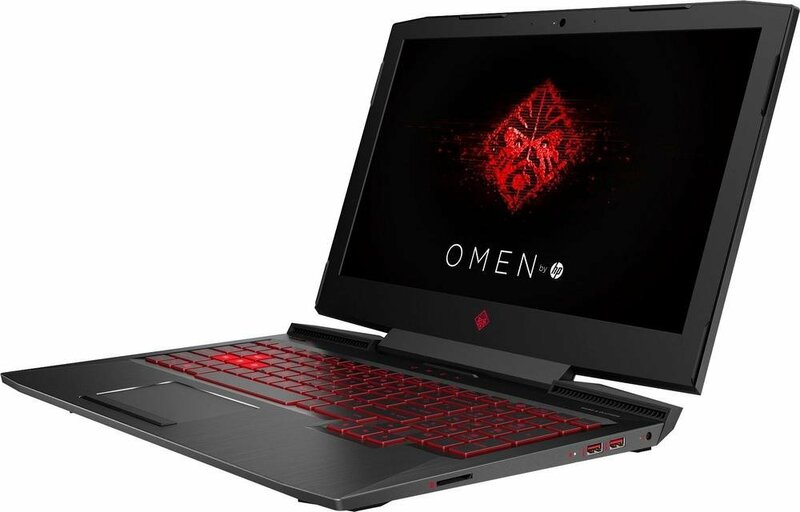 The HP Omen is a gaming laptop which you can easily find at first glance but the design is subtle and it can be used for any purpose. Be it for dedicated gaming, designing or video editing, the powerful 7th gen Intel i7 processor is capable of getting your tasks done without signs of slowing down. The laptop has a 15.6-inch 1080p display which uses an i7 processor with 8GB of RAM and 128GB SSD storage. There is also 1TB of HDD for your storage requirements and the laptop uses Nvidia GeForce GTX 1050 Ti, an entry level but powerful device capable of handling all popular multiplayer titles. It should also make your Photoshop and Avid programs more responsive. The HP Omen is slim and easy to carry around. 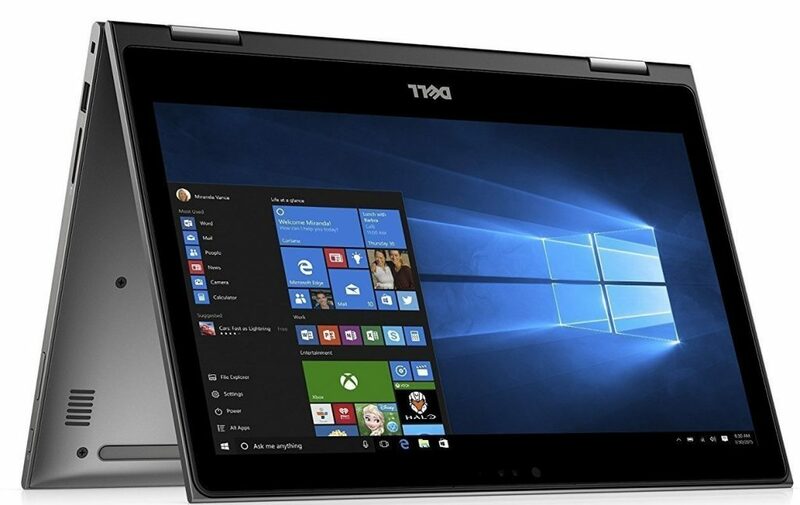 The Dell Inspiron 13 5000 2-in-1 laptop is a product meant for users looking to own a versatile device that satisfies more than one usage scenario. You can easily swivel it to be used as a normal laptop with a robust keyboard. When flipped on its back, it instantly becomes a large tablet with a full HD touchscreen display. The laptop has a 13.3-inch 1080p display which features an IPS panel offering the best viewing angles. It is powered by Intel i7 processor with 8GB of RAM and 256GB SSD storage. 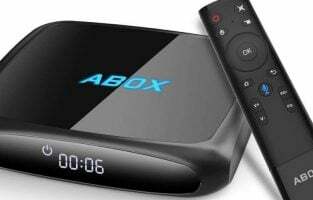 The device uses Waves MaxxAudio Pro for sound and also has Intel UHD 620 graphics enabling users to enjoy the best of entertainment and casual gaming. The ability to flip open or close the laptop in a convenient position is what sets it apart from the competition. If you are willing to spend money to get the most premium experience possible, the Microsoft Surface Book 2 is the way to go. The laptop is a hybrid device which comes with a fully detachable metal keyboard and when you spend more, you can buy the touch pen and the knob to adjust software features in the most intuitive manner. 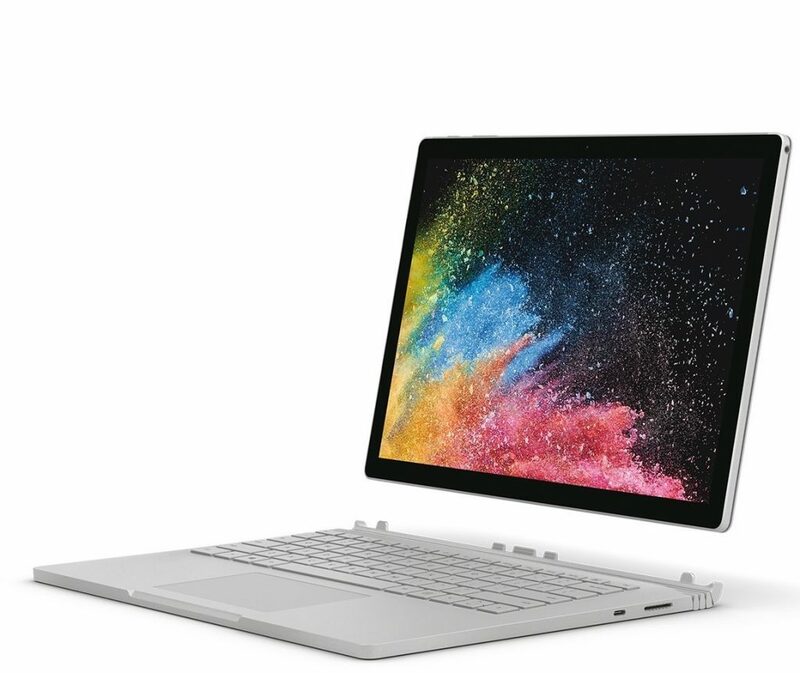 Surface Book 2 sports a 13.5-inch touchscreen display and runs on 8th gen Intel i7 processor. The laptop has 8GB of RAM and 256GB of storage space with a Nvidia GTX 1050 graphics card. The display is just amazing but the only caveat most buyers complain is its cost. Besides being expensive, you should spend even more to own the Surface Dial and Surface Pen to get the complete experience from this ultra-premium device. Owning the latest laptop that runs on 8th gen Intel i7 processor is easy as there are many budget-friendly laptops in stores. The Razer Blade’s latest 15-inch model doesn’t fall into that category because it is more expensive than some of the premium solutions offered by Microsoft in their Surface lineup. Razer Blade boasts of the smallest build design ever using a 15.6-inch 1080p display. The 144Hz refresh rate makes it impeccable for gaming while it features an Nvidia GeForce GTX 1070 graphics card in a tiny form factor. 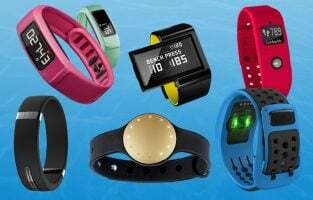 Initial reviews are extremely positive for the Max-Q technology that gets you such hardware in a lightweight, thin package. It is powered using an i7 processor with 16GB of RAM and 256GB SSD. Razer also confirmed that their vapor chamber cooling system will keep the laptop cool even when under full load for hours. Handling a tablet with a 15.6-inch display is quite difficult but the Acer Aspire R 15 is for users who expect large screen. When you flip the display over the keyboard, it converts into a portable media center allowing you to enjoy movies in its full glory. The laptop is powered by 7th gen Intel i7 processor with 12GB of RAM and 256GB SSD. The 15.6-inch display has 1080p resolution allowing you to view movies in full HD quality. It also works great for YouTube videos and the battery should last at least 9 hours according to the manufacturer. The budget laptop has a surprising addition; it also features GeForce 940MX graphics card for some light gaming. Most laptops stick to the tested resolution of 1080p but the Dell XPS 13 9360 dares to go much higher, making it a true ultra-book to own. The laptop has a compact 13.3-inch display but its resolution sets it apart. The resolution is 3200 x 1800 pixels with an InfinityEdge touch display and also has a fingerprint reader. The resolution provides maximum pixels per inch because of the compact screen size. The laptop is powered by 8th gen Intel i7 processor clocked at 4.0 GHz, 16GB of RAM and 1TB SSD. 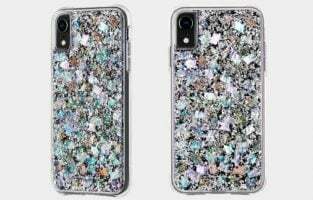 Apart from the unique display, the device also sports premium build quality that should last longer with a sturdy keyboard and a range of ports for your connectivity needs. The pricing might put off some buyers but this is probably one among the very few laptops that sport the highest possible resolution on a laptop. It’s from Apple and it’s got an i7! Apple MacBook Pro needs no introduction but if you still need one, here it is. Apple’s hardware and software ecosystem are the best in the business. Most business users rely on iOS for its security and reliability. 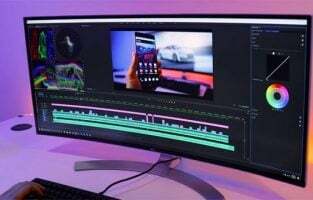 It’s also a must-have for creators with its exclusive audio and video editing software programs that work only on a Macbook. 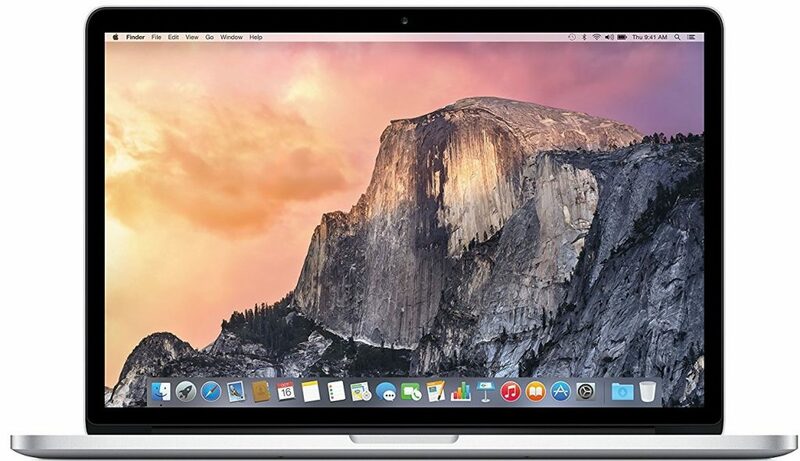 The MacBook Pro is powered by a 2.2 GHz i7 processor, has 16GB of RAM and 256GB SSD storage. It has Intel Iris graphics and uses 15-inch Retina display. The laptop often known only as a MacBook offers great value for money and is known to receive latest software updates as they are rolled out. The keyboard and touch navigation’s responsiveness is the best in its class that makes this a highly recommended product. This 13.3-inch laptop is designed for matchless performance. The laptop has been crafted with complete attention to detail. Everything from its Intel Core i7-6567U processor to its impressive battery life of 15 hours makes this laptop a must-have. It is thin and has a premium feeling to it. The Intel Iris Graphics 550 delivers an exceptional experience for watching videos and movies. It runs on Windows Pro and has a great display. The 256 GB SSD gives the computer a speedy performance. It is thin and lightweight so you can carry it around easily. This is a premium laptop with a high price tag, but keeping its design and performance in mind, the price is totally worth it. The latest HP Envy 15 laptop is an aesthetically pleasing machine with some of the most powerful specs. 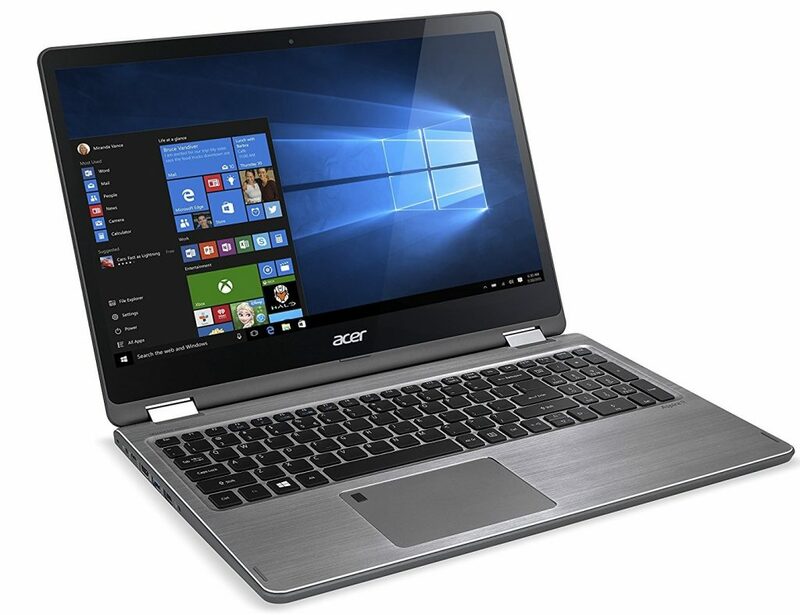 It runs on Windows 10 and is fitted with a 6th Gen. Intel i7-6560U processor which is paired with 16GB RAM. Imagine the amount of power it can offer making the machine run buttery smooth. The Intel Iris Graphics 540 makes videos and games a pleasure while the multi-touch screen makes it enjoyable to use the laptop. It has 1TB Hard drive storage and 256GB M.2 SSD which ensures that you can get the best of both the storage worlds. This 15-inch, i7 laptop is great not just because of the brilliant processor. It has 16 GB RAM and 1 TB storage. But that is not it, the laptop also has 128GB SSD so that you can access your storage quickly. The NVIDIA GeForce GTX 960M graphic card with a separate 4GB VRAM makes the graphics ultra-cool in this laptop. 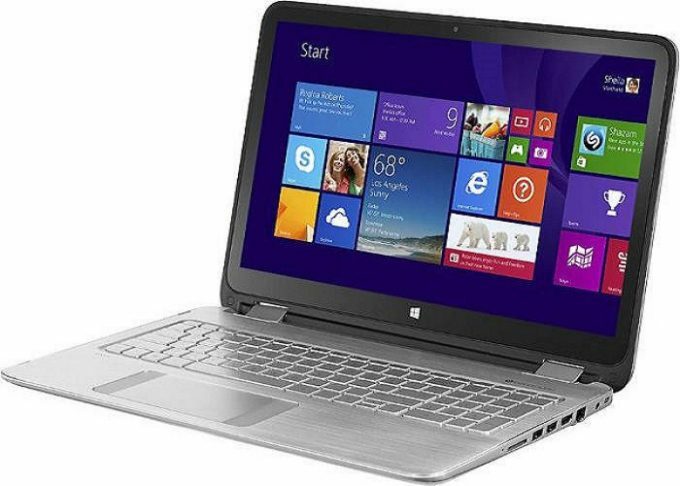 The connectivity options are good and the design of the laptop ensures durability. The key travel is great on the keyboard which makes it great for people who spend long hours writing on the laptop. Most of the features of this laptop also appeal to gamers who can enjoy great graphics, solid performance and good storage space. This i7 processor laptop has been built to accommodate upgrades easily. This means if you need more RAM or storage, then you wouldn’t have to worry about investing all over again in a new laptop, you can simply upgrade this. 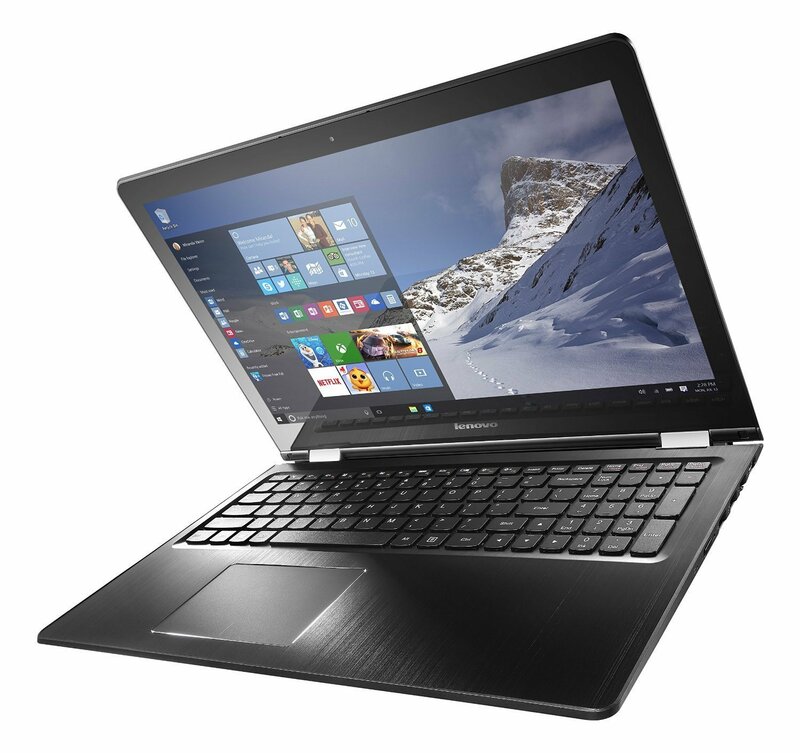 If you were looking for the best i7 processor laptop in the mid-price range then the Lenovo Flex 3 15 is a good option. It is powered by an Intel Core i7-6500U processor along with 8GB RAM. It has 1TB HDD and Intel HD 520 Graphics. The 15.6 inch Full HD touchscreen has great viewing angles while the Dolby speakers make sure that the audio performance of the laptop is equally brilliant. It runs on Windows 10 and has a splendid finish. You can flip the laptop into 4 different modes to enjoy using it without compromising your comfort. 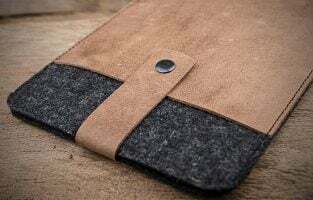 Whether you like it in tablet style or laptop style, you can easily shift the modes for your comfort. Its great design matched with its solid performance makes this laptop totally worth the price you pay for it. Samsung has a limited market reach with its laptops, but every laptop created by Samsung has featured resiliency and power. This Samsung machine is built to continue this legacy. It features an Intel Core i7 processor, with 8GB DDR4 RAM. It has 128 GB SSD and 1TB HDD for added storage. This ensures that you can load heavy programs without worrying about its performance or the storage. It runs on Windows 10 Home edition. The screen is great for watching movies and playing games. 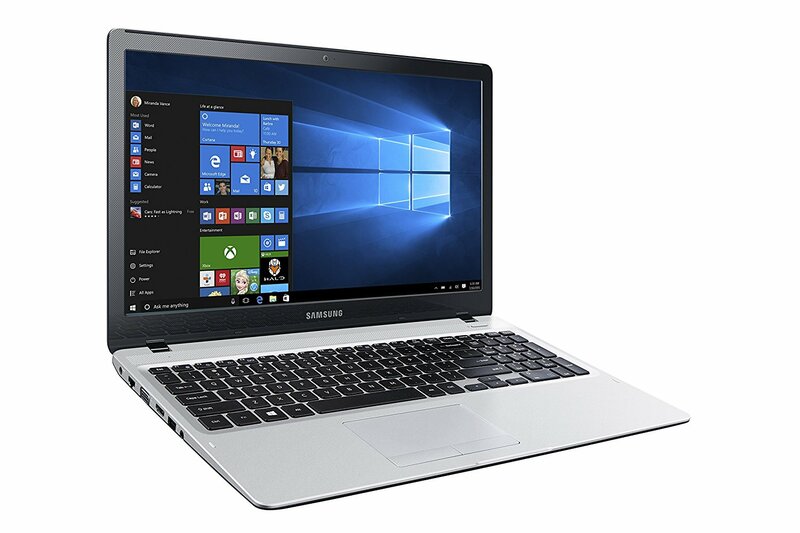 It has an anti-glare display which means you do not have to worry about staring at the laptop screen for long hours. This laptop is great for working professionals, students, and home entertainment. 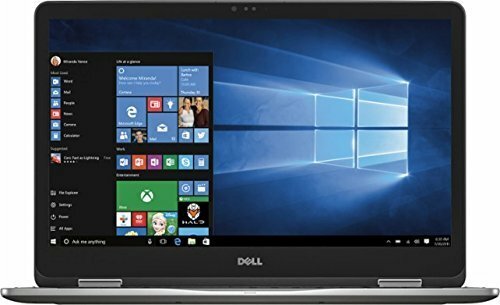 This latest Dell Inspiron laptop has a big screen, great performance, and outstanding graphics. Whether you are a gamer, a student or a working professional, this laptop offers solid performance and a great design. It has 1TB hard drive. There is no SSD. So if you were looking for a speedy storage option then consider a laptop with SSD. The 2 in 1 design gives you the chance to use it as a laptop or flip it and use it as a tablet. It runs on Windows 10 and features a backlit keyboard and good battery life. Overall, it is one of the best i7 processor laptops that you may come across. The best i7 laptops come in different sizes and are designed for varied purposes. If you are looking for pure gaming or to use audio/video editing software programs, there are always some great options from Asus, MSI or Razer. Dell and HP continue to offer the best hardware specifications for business users at an affordable price range. They have also introduced a couple of 2-in-1 products that offer the best of laptop and tablets if that’s your preference. 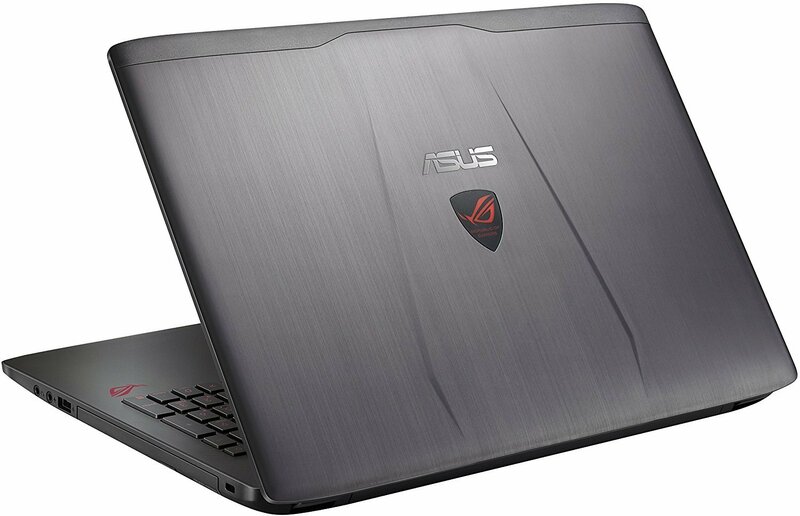 If you are looking for best i7 laptops, you will find the one for you here. All of these laptops promise terrific performance because of the i7 processor. But what makes them stand out is the additional features in them which boost their performance and make them better than the rest. The design of these laptops is also some of the best that you would notice in the market.